We are looking for game testers! Join us and help us to make the game more polished! 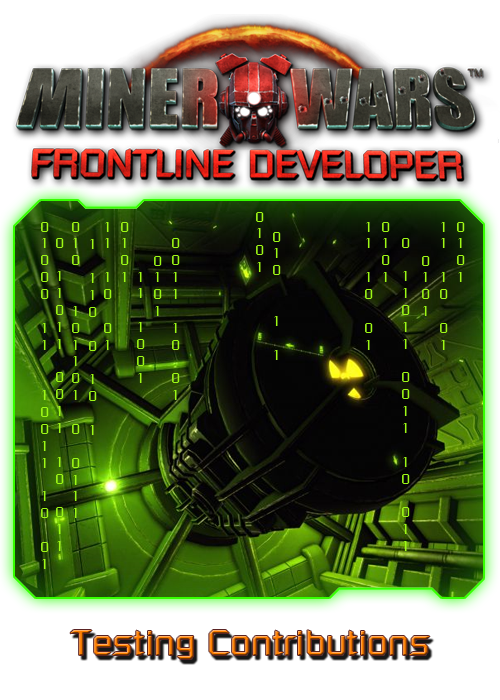 Play Miner Wars… and if you find a bug, you report it to support@minerwars.com. It is best to do the testing on the Test Build, although bug-hunting on Public Build is also resourceful. For bug-reports, you will receive the so-called Qualification Points (QP). As you go by earning Qualification Points, you can receive various special rewards (including community benefits, cool looking badges etc.). For each reported bug you will get 2QP - 10QP. Please see the Troubleshooting page on how to report bugs.